Feeling like you’re trapped in the wrong career can be rather demotivating. Even if you’re exceptionally good at what you currently do, or highly qualified in a certain field with years of experience – none of it matters if your work isn’t bringing you any satisfaction. Many professionals in the UK workforce are unhappy in their current careers but few take a chance in making a change. In a previous article, we looked at the current state of career change in the UK. Whether you genuinely thought your career choice was the right path for you at the time or if you were pressured into it for other reasons, you’re not alone if you no longer feel like it’s ‘you’. So, what’s stopping people from changing careers if they know they’re unhappy? There’s a lot more to career change than simply making up your mind and hopping along. Our careers and jobs play a considerable role in our lives – one that we often feel we cannot afford to take risks on. For most professionals, a career change can come with some daunting consequences and requires a whole lot of effort too! However, the importance of career satisfaction cannot be stressed enough. It’s crucial for motivation and progress as well as for physical health and mental wellbeing. In a recent article by Forbes, they explored the serious health consequences associated with being unhappy at work. Over the years of working with people who are looking to change their careers, our career consultants have noticed a trend in the barriers that often prevent people from taking the leap. Let’s look at some of the main hindrances that could be blocking you from pursuing your true work purpose. Deciding to change careers involves a lot of uncertainty. You’ll be leaving the comfort of the working world as you know it and venturing into a new field. What if you can’t find a job in your new field? What if you need to take a pay cut? What if you aren’t any good at your new chosen career? Uncertainty reigns supreme when it comes to changing your career at any age. From job security to fear of failure – you’re likely to worry about every possible scenario that could go wrong. While all this worry is understandable and sometimes inevitable, keep in mind all that could go right if you do decide to venture into the unknown and find true happiness in your work life. Uncertainty reigns supreme when it comes to changing your career at any age. Taking on the challenge of a new career path is no walk in the park. This worthwhile change takes effort and requires a lot of energy to take it on. Moving into a new role or different field might mean that you need to up-skill yourself and earn the necessary qualification and experience in order to be successful. 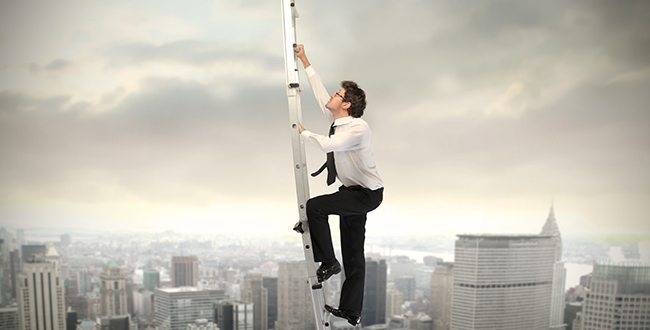 You may find yourself coming in at the bottom of the ladder where you previously may have been higher up. Other logistical barriers that stop professionals from changing careers include finding a new job, dealing with the judgement of friends and family and networking in a new industry. You’ve known how the saying goes, nothing worth having comes easily, and if you’re serious about finding a career that is right for you - there are ways to work around the obstacles ahead of you. You may find yourself coming in at the bottom of the ladder where you previously may have been higher up. One of the biggest things that stops professionals from changing careers is the difficulty in really looking at themselves. If you’re considering a career change, it’s important for you to have a deep sense of self-awareness. Knowing and understanding your core values, interests and skills will help you navigate the direction of your career change and make sure that the destination is the right one. Often, the professionals we have helped with career change need to undergo a period of self-exploration to get a true sense of their inner and authentic self. To find a career path that satisfies you and keeps you motivated, you need to understand what drives you and ensure that your chosen work is well aligned with your inner values. Knowing yourself and what you want out of a career is the first step towards career change. If you’re currently facing feelings of resentment, demotivation or dissatisfaction in your current career, perhaps it’s time to start thinking seriously about a career change. Our career consultants have years of experience helping people overcome all of the challenges discussed above. If you’d like to explore your options and chat to one of our career experts, book a free phone consultation with us. 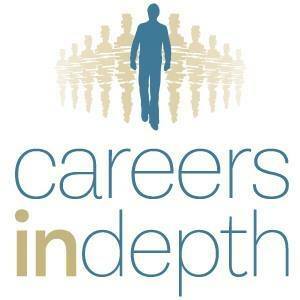 Careers in depth will guide you through your career change process.